A quality gas cooktop can make your cooking tasks so much easier. These units come ready-to-use out of packaging and are tailored for the modern kitchen. 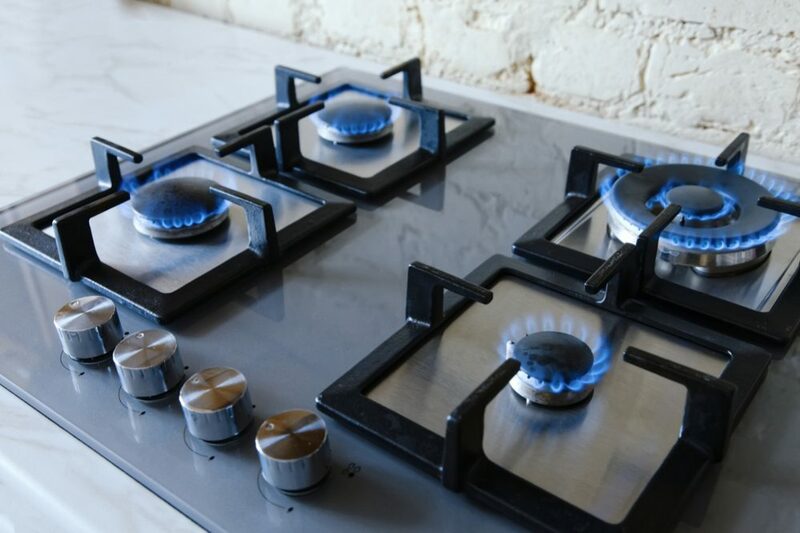 So to make sure that you get your hands on the right one, here is a look at the best gas cooktops available. Whilst the competition remains tough, the clear winner for the best gas cooktop is the GE CafeCGP650SETSS 36-inch cooktop. Catering to your every cooking need from searing and boiling on high heat to simmering and stewing on gentle heat, this cooktop will do it all. This unit has a wide selection of features which complements its professional build exquisitely. This is an appliance that will impress not only through its performance but through its visual appeal as well. A stylish addition to any kitchen, let the GE Cafe 36-inch cooktop take your culinary expertise to a new level and the praises earned to new heights. 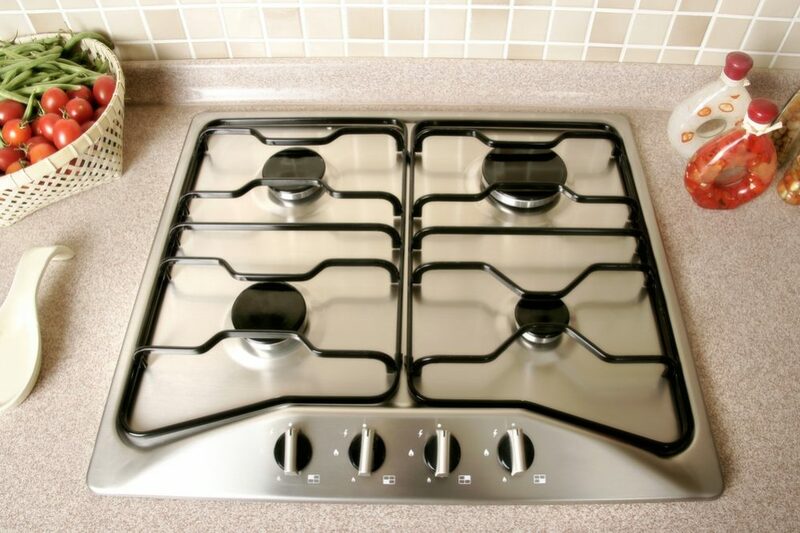 Gas cooktops are a popular method of cooking, famed for their effectiveness and versatility. With all the models available among a great price range from a couple hundred dollars to several thousands, there can be some confusion around which ones are worth considering. There are several features you’ll want to take into consideration, and this short buying guide will help you with the main points. The best thing about gas cooktops has to be the capability for instant speed heat control. Once you turn on the burners, there’s no wait time for heating up like electronic cooking surfaces would require. Gas cooktops are responsive and quick with their temperature change, making them better for delicate, temperature-sensitive recipes. Many users find that the height of the flame is a usefully accurate visual aid for the level of heat. Gas cooktops are also very versatile. 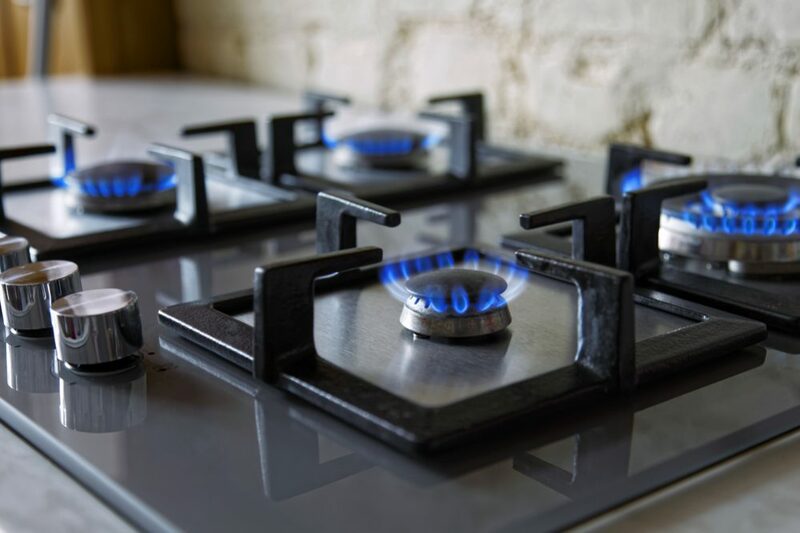 Gas is compatible with all types of cookware material, and with all the different types and sizes of gas burners available, these cooktops are useful for any type of cooking as well. These cooktops come in a variety of stylish finishes and designs. You can choose from cooktops with glass, enamel or stainless steel, and cast iron or enamel for the cooktop grates. But before looking at cooktops just yet, make sure to measure the designated space you plan on using in the kitchen. Specific cooktops will include specifications, but regulations call for at least 2cm of counter space around the perimeter of the cooktop. Most commonly, cooktops come in 60cm but can go as low as 30 cm and up to 1200 cm. The size often determines how many burners a cooktop will have, so two things to consider overall are your counter space and how many burners you’d need. Most cooktop models feature a large burner in the center with smaller burners on the sides. While this can be a good layout if you plan on using the central burner most of the time, it may cause problems if you have to use multiple burners simultaneously. An alternative layout is to look for a cooktop that has a large or wok burner on one side rather than the center and smaller burners on the other side. This layout creates maximum space between the burners allowing you to place multiple pots on at the same time. Cast iron is the most common material for grates. They’re stable but bulky, and a bit of a chore to clean. 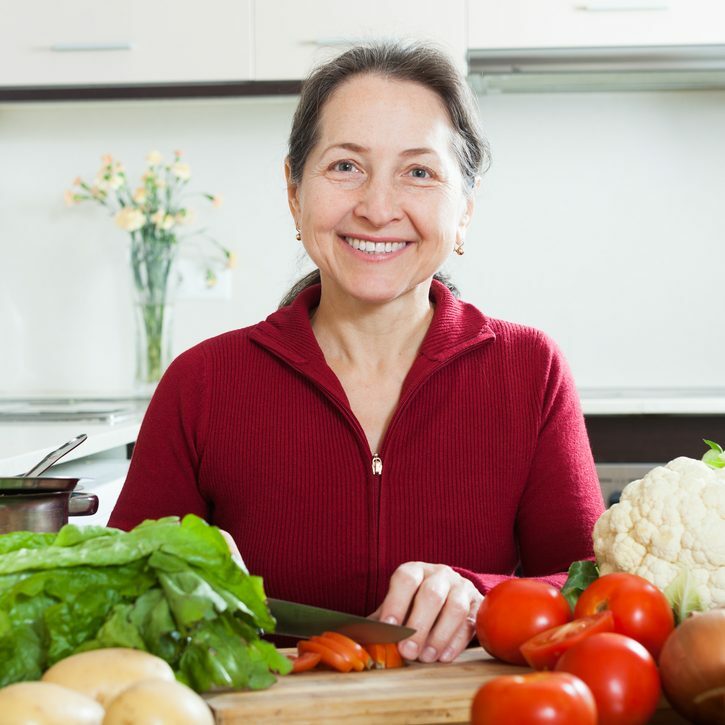 Enamel grates are definitely uncommon, but are smoother and the easiest to clean. Stainless steel grates, despite the name, will stain easily when in contact with an open flame and are not recommended. Most grates extend over the cooktop area, meaning you can easily slide your cookware from burner to burner without lifting them. This kind of grate is heavier to lift and may have difficulty fitting in your sink. Control knobs should be a good size and quality, simply because they will endure the most hand-held wear and tear on the unit. Knobs get turned when turning the burner on and off as well as turning the flame up or down. As such, knob construction should be heavy-duty metal with secure mounts and not flimsy, plastic ones prone to chipping and breaking easily. Look for a surface material that is easy to clean with minimal dirt traps. Wok burners are specially designed for high-heat tasks like boiling and stir-fry cooking. They work well for extra-large cookware like round bottom woks, stock pot, and very large frypans. If you’re looking for a model with a wok burner, make sure it’s easily accessible in the center or at a distance from the other burners. Large burners work great for most of your everyday cooking needs. You can fry and boil using your non-stick cookware and skillets. Because of their size, medium burners are best for any task that demands for rapid changes in temperature. They’re useful for preparing rice or soups, whatever requires both fast and slow cooking. Look for models that include medium burners at the back, as the foods you’ll prepare won’t likely need much stirring. Simmer burners are the best for smaller cookware and the most delicate recipes, like making chocolate, candy, sauces, or just melting butter. These burners are better placed in the front of the cooktop. Keeping your burners clean is very important. Any spills on the burners should be cleaned immediately. Otherwise, overtime the spills will become burnt on. Not only is this difficult to clean off, but the burners can get congested with debris resulting in a ruined gas flow and uneven heating. You can remove and wash the knobs. Make sure to use warm water, but don’t scrub too hard at the risk of rubbing off important labels. Cleaning the grates needs to be frequent to avoid collecting burnt-on residue. They’ll need to be soaked in hot water for some time, and depending on the material, you’ll need different cleaning methods. Enamel grates won’t need much else besides soaking and rubbing off residue with a microfiber cloth. Cast iron will need a grease-cutting detergent and a more abrasive scrubbing material, like steel wool. Glass and stainless-steel surfaces will show smudges easily. If you’re into the more stylish surfaces, particularly stainless-steel, save the extra smudge trouble and find a model with print-resistant coating. It doesn’t take much to clean up – usually just soap, water, and a cloth – but you’ll be able to worry about fingerprints less for longer. Make sure to dry up your cooktop parts thoroughly. This will help with preventing metal parts, especially cast iron, from rusting. 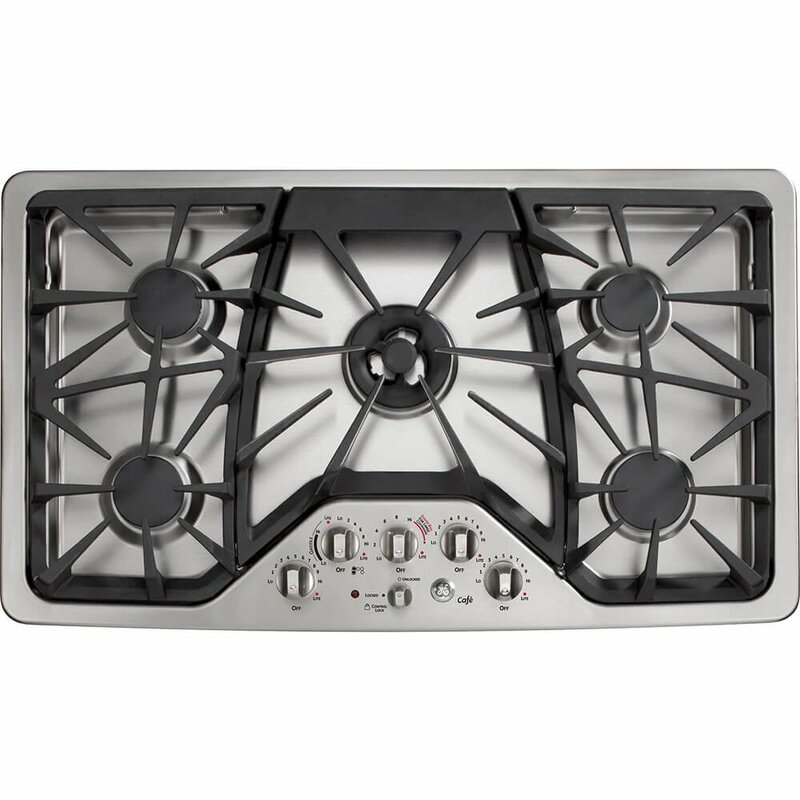 Considered a basic gas cooktop model from Frigidaire, this unit offers a five burner selection of different sizes. The unit measures 36 inches with a good variety of heat outputs. The central burners being the largest in size can yield up to 18,000 BTU which gives you the ideal searing temperature for meat. The other burners feature 9,500 Btu and 5,000 BTU to give you a good variety between cooking and low-heat simmering temperatures. With the option of the 5,000 BTU burners, you can easily keep prepared foods warm while on the stovetop, melt chocolate or butter or even prepare temperature-sensitive recipes that don’t handle high heat well. The surface of this cooktop is engineered with stainless steel making it an easy to clean unit. To further facilitate cleanup, all five burners are sealed so there is no chance of spills dripping anywhere below the cooktop’s surface. The heavy-duty construction cast iron grates on the FGGC3645QS lend durability to this cooktop and help with a more even cooking experience. The grates span the entire surface of the cooktop which makes it easier to slide hot and heavy pots and pans from one burner to the other. Instead of having to heave the pan, you can simply slide it across and save yourself the hazard of lifting and spilling hot contents. When in need of cleaning, the grates can be placed safely in the dishwasher. On the flip side, this unit does not have backlit knobs and there is no hot surface indicator light. Another missing component to consider is the absence of a griddle. Although one is purchasable separately, many other similar models include one with the initial purchase. Despite these missing features, the FGGC3645QS is a good deal to invest in as it is a fairly affordable unit. It features an automatic reignition mechanism that is useful if the flame goes out during cooking and also includes an LP conversion kit should your fuel source be propane. A more compact model than others featured here, this Bosch gas cooktop comes with a cut-out of 28 inches and a depth of 21 ¼ inches. Featuring five sealed burners, it makes for an ideal cooktop for smaller kitchens and restricted cooking spaces. Like other cooktops featured today, this Bosch model also comes with a sleek stainless steel surface. It is an easy to clean unit which shines nicely with a quick wipe off after every use. Working with five burners, two of which have an output of 5.500BTU, another two having 10,000BTU and the center burner going up to 18,000 BTU, you get a compact unit that can more than handle all types of cooking needs. This space-saving design is simple and doesn’t contain any hard to reach areas. The cast iron grates are composed of three separate parts which fit in nicely. The separation also makes it easier to lift the grates and clean them without hassle. The grates are safe to use in the dishwasher. The knobs used for the Bosch NGM8055UC are of heavy-duty metal construction and responsive to turning. They are also easy to clean. Knob placement is centralized and neat for easier access and handling. However, this same feature may also pose a hazard if you have small children at home. The knobs will also be within easy reach of younger hands. There is an auto ignitor feature on this unit which is always useful with gas cooktops. When compared to larger units, this Bosch model falls short on the power it delivers. One concern with its BTU output is that other than the center burner working properly, the others are quite weak. Hailing from one of the biggest names in the appliance industry, this gas cooktop from General Electric is favored by many for a number of reasons. For instance, if aesthetic appeal is somewhere on your list then the GE CGP350SETSS, is the way to go. Featuring a very modern and sleek look, this cooktop will enhance the visual appeal of any kitchen. It comes with a very contemporary design with a slight slant and bold look. Equipped with all the right features, this model gives you access to five generous burners surrounded by sturdy cast iron grates. The grates are in three parts and will remove easily for faster cleaning. The cast iron material lends strength and durability to the unit while also ease of cleaning as they can be dish-washed. The burner control dials complement the sturdy construction of the entire unit reinforcing durability. The central burner is a tri-ring with a PowerBoil function. This burner impresses by delivering rapid boiling speeds along with adequate maximum and minimum temperatures. If you cook only one thing at a time, then use the center for your cooking needs for fast results. Performance of the other burners suffers from a limited range of temperatures especially when it comes to high heat. They do, however, fare well enough when it comes to low-temperature performance. Even though there are five burners, it may seem cramped to use them all at the same time. Despite the knobs being made of sturdy material, they seem to be attached with plastic mounds that break easily. The results may be having to repeatedly replace the knobs which is a huge inconvenience and added expense. This model comes with an integrated griddle designed for use on the left burner grate. For safety, there is a child lock feature. A second model from Frigidaire appears on this list given the brand’s top-quality products in this area. This is another compact gas cooktop with 30-inch dimensions accommodating five burners nicely. It gives you the option of cooking multiple meals at the same time. The burners feature a sturdy design that will support your light as well as heavy pots well. Featuring many of the same properties as its larger counterpart on this list, this cooktop has an energy efficient and space saving design. The construction and finish is stainless steel that puts up well with heat, everyday use, abrasions, and rough handling. The design offers aesthetic appeal with a black and silver construction. The knobs are also heavy metal construction to complement the durability of the rest of the unit. The center burner caters 18,200 BTU while both left burners and the right rear burner yield 9,500 BTU. The right front burner offers a nice in-between with 12,000 BTU which is pretty standard of gas cooktops in this range and size. The BTU range is suitable for preparing a variety of dishes with precision, using sautéing, simmering, boiling or searing techniques. While natural gas is the primary fuel source, this Frigidaire model is also compatible with liquid propane, coming with its own conversion kit. The cast iron grates are heavy-duty and dishwasher safe. The deep-set pan on this model catches all drippings and spills making cleaning a cinch. After use, wipe with a paper towel to remove dirt and grime or a moist cloth will do well to remove stubborn stains without lowering its value. This unit comes ready to use off the shelf and installation is simple and can be done single handed. The GE Cafe 36” is a larger version of the 30” with the same name. The fact that it features twice here on the list means that this gas cooktop is giving the competition a run for their money. Ranking high in the 36” category, this GE model features five burners. 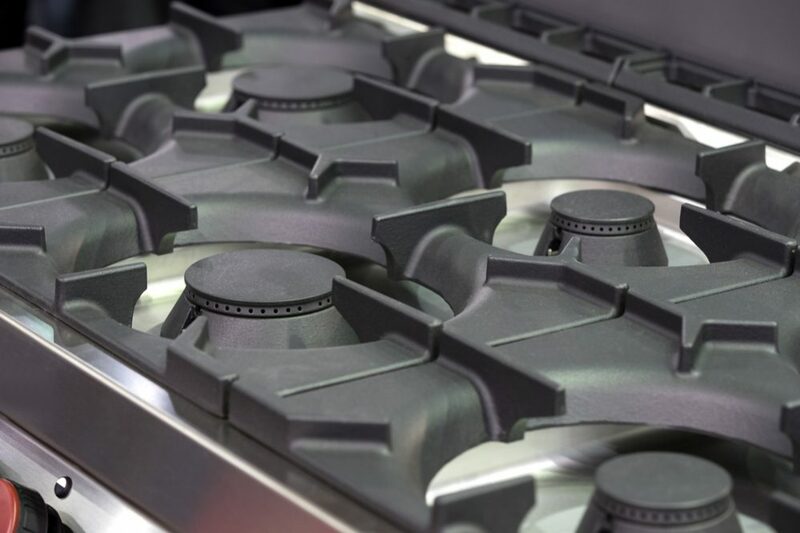 Given this unit’s rectangular shape the burners can safely accommodate five medium-sized cooking pots with a BTU range spanning between 5,000 and 20,000 BTUs. The unit measures 36 inches by 3.75 inches by 21 inches. It is ready to use upon purchase with natural gas, but will also work with liquid propane if that is your fuel source. It comes with its own propane conversion kit and to have it working with a fuel source other than natural gas, it is recommended to hire the services of a professional. The installation of continuous grates on this unit makes it an easy to use and safe surface. Users can smoothly maneuver their cooking utensils from one burner to the next without any hindrances. 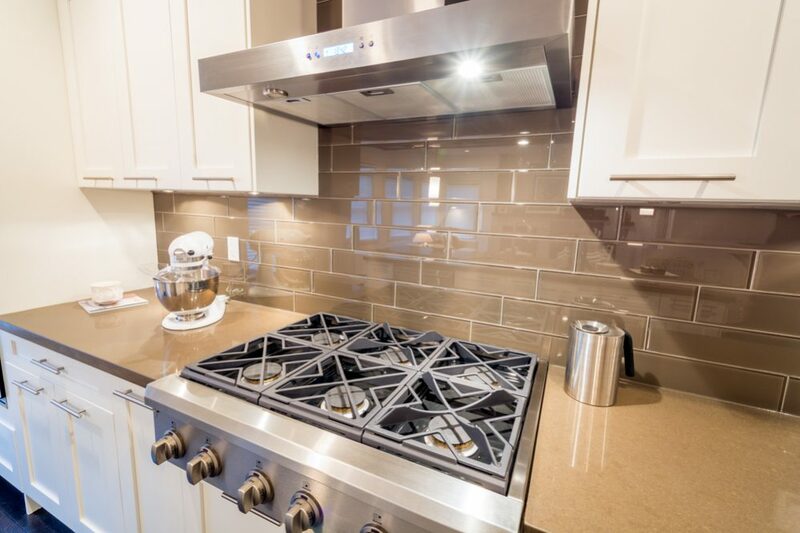 The cooktop surface is stainless steel construction and finishing, giving this unit a sleek look. You can operate the CGP650SETSS with its control knobs placed at the front of the unit for easy accessibility. The knobs come with an attractive blue LED backlight to let you know which burner is on. The knobs also have numbered stops so you know exactly what you are working with. Plus, manufacturers have included a safety lockout knob which automatically locks all other knobs. Another thing GE did include in this popular unit is a light indicator showing that a burner is still turned on. This minimizes the risk of any burning accident from occurring. The cast iron grates are dishwasher safe and the pan captures any spillovers. This unit comes with a griddle included with the purchase with a non-stick cast iron finish. Performance is covered by a standard one-year limited warranty and the company will replace and repair any defective parts within this time period. If you’re looking for a clear winner in this category, then it’s none other than the GE Cafe CGP650SETSS 36-inch cooktop. Having won more accolades than the other models featured here, The GE Cafe cooktop presents a mix of style and performance lacking in the competition. It is a cooktop designed for the modern kitchen lending versatility and performance to users and affording them the luxury to add some aesthetic appeal to their cooking space as well. Overall construction and durability of the GE Cafe rank it way above other similar models in this category. If you want to go smaller size-wise, but without compromising the integrity of this cooktop, then look no further than its 30-inch version, which is essentially the same model, only smaller.